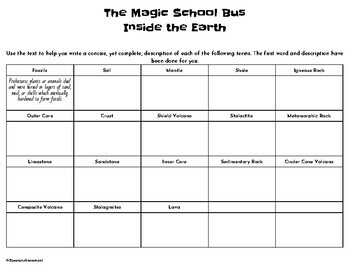 This activity is designed to support students as they learn about rocks and fossils using the one and only Magic School Bus! Students will dig into the text in order to create a diagram of the inside of the Earth. 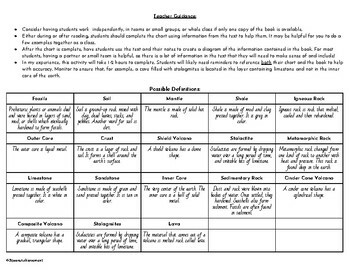 Great for whole group, teams, and individual work- this is a challenging and worthwhile part of a unit on rocks or fossils.